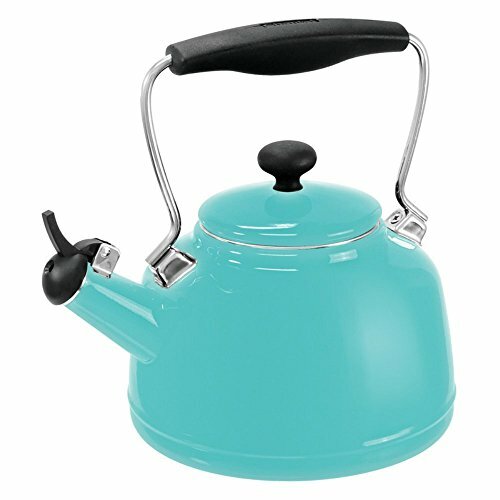 Crafted of carbon steel with premium enamel, the Chantal Vintage Tea Kettle holds to a classic mid-century design that needs no refinement. It's functional and fashionable with a wide-opening lid and a one-tone whistle. A heavy-duty enamel interior resists scaling and mineral buildup. 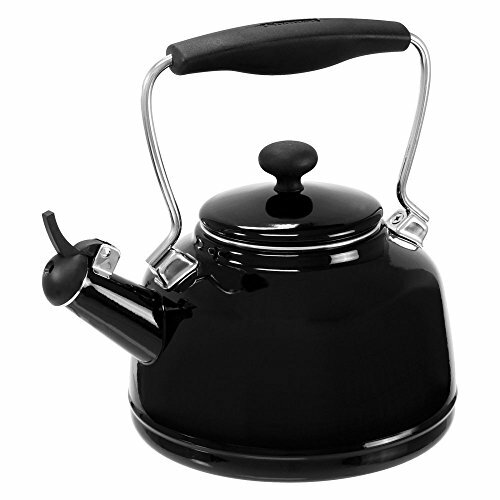 This tea kettle's ideal for all stovetops, including magnetic induction. Usable max capacity is 1.7 quarts. A leading designer and manufacturer of gourmet kitchen equipment for more than 40 years, Chantal specializes in professional cookware, tea kettles, bakeware, and other quality kitchen essentials to bring out the gourmet in all of us. Dimensions: 9.5W x 7.5D x 9.5H in.. Made of durable stainless steel. Hand-wash only. Heavy-duty enamel interior. Available in choice of finish. Capacity: 1.7 quarts.